A consultant (from Latin): consultare; a professional who provides expert advice. With over 30 years as a vehicle dealer my life and business was drastically changed in 2011 when my son Ryan suffered a spinal cord injury and became a paraplegic. My focus changed from selling regular vehicles to selling Wheelchair Accessible vehicles also know as mobility vehicles. 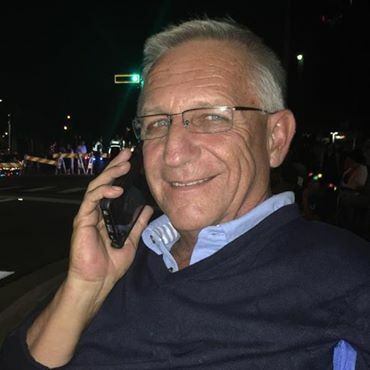 I studied the mobility solution business and became a * Certified Mobility Advisor in 2011 and a Nationally Recognized expert in wheelchair van sales and mobility assessments. For individuals and families, having a mobility assessment, by an expert, before you purchase, is an extremely valuable and important first step. Wheelchair accessible/handicap vans are not one size fits all. There is so much to consider, so much to learn and so many questions that must be answered. I speak with clients from all over the country who made the mistake of buying a vehicle on the blind only to be disappointed because it won't serve their needs for one or more of the many questions that should have been asked or more importantly, answered. As the father of a wheelchair user, I am passionate about helping others find a solution to their individual mobility needs with my advice without any cost or obligation to buy from us. Call me anytime, I will help you simplify the complicated. You will learn more in one phone call speaking with me than you can learn from speaking with a salesman for a month. 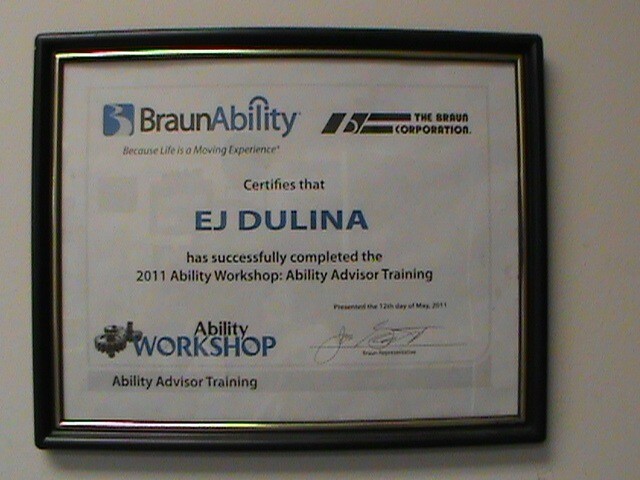 * I received my BraunAbility Advisor Certification in 2011 in Winnamac Indiana at the BraunAbility Training Facility but I am not a Braun Franchised Dealer or affiliated with Braun in any capacity. We are an independent, licensed and bonded dealership.